PRANA 250 recuperators are ready-to-use monobloc devices for mechanical ventilation. 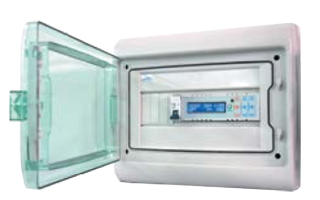 The system is prepared for long-term use at room temperature of air within +5ºС to +35ºС and outdoor temperature from -25ºС (-30ºС after switching on the mini heater function) to +45ºС. The noise level at a distance of 3 meters from the device at full fan speed does not exceed 59 dB. In order to ensure the best conditions for safe use in a humid environment, the recuperator is designed to work under low voltage of 24V from an electronic touch controller equipped with an 220V adapter. 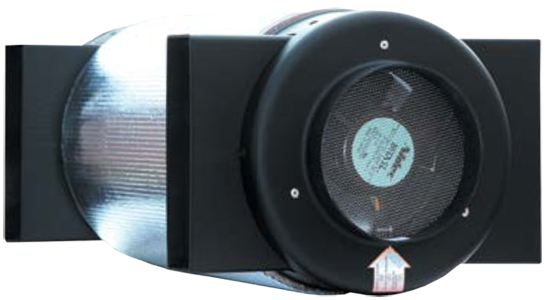 The PRANA 250 recuperators should be installed on a bracket (on the top floor or in the upper part of the vertical wall) using metal connectors. Thanks to the two fans the heat recovery is permanent.